The most common methods are using keyword research tools to find common questions on your topic, or reviewing Search Console data to find questions that you are ranking on the first page for. There’s no doubt this will help you find opportunities, but it’s tedious and just because the search query is a question, there’s no guarantee that Google will be displaying a featured snippet for that query. There’s a lot of manual work involved. And what about all those featured snippet opportunities that aren’t questions? This article will go through the process of identifying your current featured snippets (if you have any) and performing keyword research to find terms that are known to display featured snippets. I will then show you how to identify some potential quick wins to help get you ranking in position 0 in no time. The easiest way to find your current featured snippets is with SEMrush (affiliate). I’m using Moz.com in my examples. Step 1. In the menu on the left, go to Domain Analytics > Organic Research and enter your domain in the search box. Enter your domain in ‘Organic Research’ and click ‘Featured Snippet’ under ‘SERP Features’ on the right-hand side. Step 2. On the right hand side of the dashboard, under ‘SERP Features‘, click ‘Featured snippet‘. These are your featured snippet keywords. Export this list to Excel. Step 3. What you are left with are keywords that your site has featured snippets for. Export your list of featured snippet keywords to Excel – we’ll use it later. SEO Keyword Magic (Beta) by SEMrush has one of my favorite keyword research features at the moment and I can’t recall seeing it mentioned anywhere. SEO Keyword Magic performs all of the standard tasks you’d expect in any keyword tool, but the thing that sets SEO Keyword Magic apart from the rest in a big way is its ability to filter keywords by SERP features – more specifically, Featured Snippets. 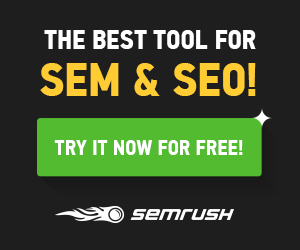 In SEMrush, you will find SEO Keyword Magic under Keyword Analytics in the left-hand menu. SEO Keyword Magic is located under ‘Keyword Analytics’ in the left-hand menu. Once you’re at the SEO Keyword Magic page, enter your starting keyword. In this example for Moz I’ll start with ‘seo’. Enter your keyword in the search box and hit the ‘Search’ button. Hit ‘Search’ and it will take you to the dashboard. You’ll find everything you’d expect in a keyword research tool here, as well as a few unique features, but we’ll stick to featured snippets in this post. In the ‘SERP Features’ drop down, check the ‘Featured Snippet’ box. In the SEO Keyword Magic, select Featured Snippet under SERP Features to show keywords that are know to display featured snippets. You are now left with a list of keywords that are known to display featured snippets! This is a good start, but let’s build on it. Click the green ‘Export to submarine’ button and we’ll store those keywords for later (I don’t know why it’s called ‘submarine’). Please note: if you are doing more general keyword research, eg. ‘cars’, you’ll be left with a list of featured snippet keywords that’s too big for the submarine – over 20,000 for ‘cars’. In that case, export your keyword list to Excel at this step. Click the ‘+ New keyword’ button and we’ll go through the same process for another related keyword topic. I added ‘link building’ in this example. Be aware that you need to select ‘Featured snippet’ for each new keyword you add. You can add new keywords in a new tab. Remember to select Featured Snippet under SERP Features in each new tab you open. In the ‘link building’ keyword example above, I’ve excluded featured snippet keywords containing ‘chain’ because there were a few relating to ‘how to build a chain link fence’. Export this list to your submarine. Keep adding featured snippet keywords to your submarine until you think you have enough (the submarine can hold a maximum of 1000 keywords). In this example I continued to add ‘content marketing’ and ‘keywords’. Go to your ‘submarine’ and export all your featured snippet keywords to a single spreadsheet. Export your list of featured snippet keywords from SEO Keyword Magic. Now you have two spreadsheets; one containing your existing featured snippets and one containing your SEO Keyword Magic featured snippet keywords known to display featured snippets. This is great, but your site may already be getting featured snippets for some of these keywords so we’ll need to filter out those results so you can identify your new opportunities. We’ll also go one step further and identify which keywords from the opportunities list you are already ranking in the top 10 for – this is your low-hanging featured snippet fruit. Firstly, we need to get a list of keywords that the site is ranking in the top 10 for. Step 1. Go to back SEMrush ‘Organic Research’, enter your domain, exclude branded keywords, and include only keywords in positions less than 10. Export to Excel and open the spreadsheet. I’ll rename this first tab ‘Top 10’. Export your top 10 ranking keywords – excluding branded keywords. Step 2. Open the spreadsheet you exported earlier with all your existing Featured Snippets. Copy and paste this data into a new tab in your Top 10 spreadsheet. Let’s call this tab ‘My Snippets’. Step 3. Open the spreadsheet you exported from SEO Keyword Magic. Copy and paste this data into another new tab in your Top 10 spreadsheet. Let’s call this tab ‘Opportunities’. All your data is now combined into a single Excel workbook. Now you have a single Excel workbook with three tabs; Top 10, My Snippets, and Opportunities. Step 4. In the ‘My Snippets’ and ‘Opportunities’ tabs, insert a new column B and fill each cell in this row with ‘Yes’. These columns will be used in the VLOOKUP formula and will allow us to easily filter the ‘Top 10’ tab and find the new featured snippet opportunities we are looking for. Insert a row at B in ‘My Snippets’ and ‘Opportunities’. Fill each cell with ‘Yes’. This will be column will be used in the VLOOKUP formula. Insert column at B and title ‘Current Featured Snippet?’. Insert VLOOKUP formula at B2 and apply to all cells below. Filter this column to only display cells containing ‘Yes’. Filter column B to only display cells containing ‘No’. Insert column at C titled ‘Featured Snippet Opportunity’. Insert VLOOKUP formula at C2 and apply all cells below. Filter Column B to display ‘No’ and column C to display ‘Yes’. What you are left with now is a list of keywords you are ranking on the first page for that are known to display featured snippets, but one of your competitors is getting those featured snippets. In my example looking at the Moz website, this simple process uncovered 107 featured snippet opportunities in about 5 minutes. Identify the type of featured snippet displaying for your keywords – paragraph, list, or table. Optimize and tweak your content to suit that type of featured snippet. Submit to index in Search Console to help speed up the changes. I won’t go into more detail on the optimization process in this post because it has been covered many times before and it’s not what this post is about. If you need more information on how to optimize your content for featured snippets, I recommend reading A.J. Ghergich’s recent Moz article titled What We Learned From Analyzing 1.4 Million Featured Snippets. Another featured snippet resource I highly recommend is episode 039 of Dan Shure’s Experts on the Wire Podcast titled Seizing the Featured Snippet Gold Rush, with guest Rob Bucci from STAT (if you haven’t already, you should subscribe to this podcast). I hope you find this process helpful in identifying new featured snippet opportunities for your website. There is absolutely no doubt that we’ll continue to see keyword research tools evolve in 2017 and I’d love SEO Keyword Magic to automate the process outlined in this post. All the data is obviously there and it would be extremely beneficial if the dots were joined and users were able export a list of featured snippet keywords you are ranking on the first page for, but not getting the featured snippet for. I’d also love it to go one step further and identify the type of featured snippet that is displaying for each keyword – that would be a real time saver. If you have any more tips for finding featured snippets, I’d love to hear about them in the comments below or on Twitter @davebuts. Great post and process. Just wondering how difficult it is when it comes to the actual ‘featured snippet stealing’ ? How long it might take for google to recognise a “better” content snippet and update? do you have any examples of this working? It’s really not that difficult to ‘steal’ featured snippets – especially when you outrank the site that’s currently getting the snippet. A.J. Ghergich mentioned in his post that he has seen the featured snippet change in as little as 45 minutes, but also said that it usually takes a few days. Marie Hayes mentioned on Twitter that she ‘stole’ one within a couple of hours of optimizing her content. Great use for this new feature — only thing I would add perhaps is to sort by keyword difficulty & review especially if you are working on a less authoritative site. This way you can find the best opportunities for your site that you can win the quickest. For finding the easiest featured snippet opportunities I usually filter the spreadsheet by current ranking position. If you are ranking in position 1 for any of the featured snippet opportunities, it should be easy for you to ‘steal’ the snippet from the lower ranked websites. So the theory is the higher you rank, the easier it is to get the featured snippet – provided your content is structured correctly and you are providing a valuable answer. But I like your idea of sorting by keyword difficulty to find realistic opportunities for less authoritative sites. Are there any other means to find and research these keyword featured snippets outside of sem rush? I find Ahrefs to be the more accurate and up to date tool when it comes to site analyzing but I’d like to add this into my current layout of what I feature to clients. I think the excerpt appears to be due to the optimization in the article and to getting valuable links. That will make the excerpts appear in the website in google search results. You give new information’s regularly through your blogs that regularly updates me on relevant topics. I am really very much thankful to you for updating my knowledge. It’s in reality a nice and helpful piece of informaion. So, if you’re not currently ranking on p.1 for any of your target keywords, and you don’t have a featured snippet for any keywords you rank for, how would this work?